Whether it’s new construction, extensions, or resurfacing, English Tarmac Ltd. offers solutions to any of your tarmac needs. Contact Us and we will supply you with a no-obligation consultation and free detailed estimate. We’ll work together with you and find the plan that best meets your needs so you can rest assured that your project will be completed on schedule. 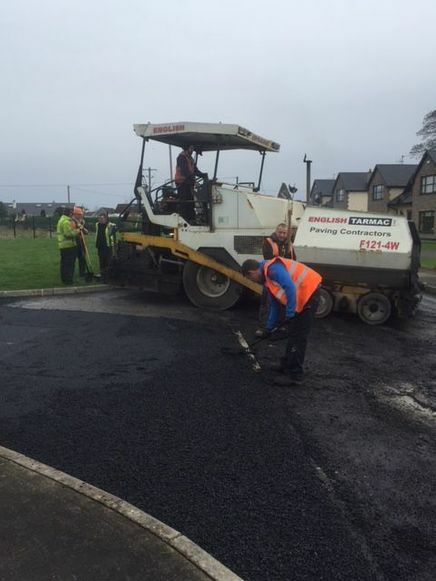 At English Tarmac Ltd., we employ two professional paving crews—one that specifically specializes in driveways and smaller jobs, and one that specializes in small and large parking lots, including private tarmac drives, tarmac roads, tarmac tennis courts, tarmac play surfaces and much more. English Tarmac Ltd. complete all our work to the highest standard, following strict guidelines with regards to quality and health and safety. We aim to be the most cost effective tarmac contractors on the market. We recommend S.M.A. finish (Stone Mastic Asphalt) to all dwelling driveways at a small extra charge. We specialise in trench reinstatement works which include planning, compaction reinstatement and road sealing. We also provide Tar & Chip surface finish.